We are Boy Scouts of America Troop 842 in Coppell, Texas, chartered by the First United Methodist Church in Coppell. We meet on Tuesday evenings at 7:00 pm at 420 South Heartz Road in Coppell. You are welcome to visit and learn more about us. Once members are logged-in, they will see details related to Troop announcements and upcoming events. 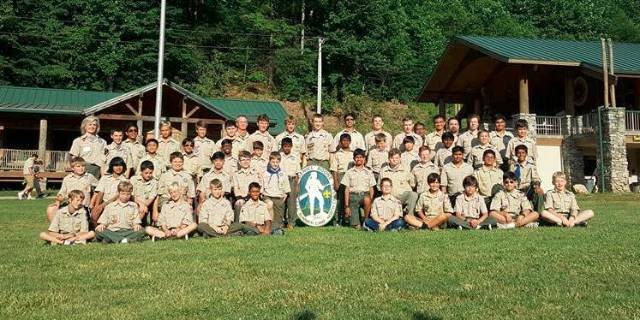 Any questions about this website can be sent to: communications@troop842.com. First Year Scouts: If you did not complete Tenderfoot 6a last week, please wear a troop t-shirt underneath the scout shirt, and see your Troop Guide about completing the requirement at this week’s meeting. Viking Patrol on Setup, flag and cleanup duty (arrive by 6:45pm to set up and get the flags ready; don't leave until everything is packed away). First Year Scouts: If you have not completed Tenderfoot 6a, please wear a troop t-shirt underneath the scout shirt, and see your Troop Guide about completing the requirement at this week’s meeting. Patrol 3 on Setup, flag and cleanup duty (arrive by 6:45pm to set up and get the flags ready; don't leave until everything is packed away). Battle Toad Patrol on Setup, flag and cleanup duty (arrive by 6:45pm to set up and get the flags ready; don't leave until everything is packed away). Deadline to submit Advancements for presentation at the next Court of Honor: At the end of tonight’s meeting. Required attendance for parents of Scouts attending summer camp at Dobbins, including packing requirements, medical forms and other information. Parents who do not need to attend the Summer Camp Meeting are requested to help supervise scouts in the CPR demonstration room. Flying Squirrel Patrol on Setup, flag and cleanup duty (arrive by 6:45pm to set up and get the flags ready; don't leave until everything is packed away). Court of Honor 7-8pm in the Sanctuary. The Court of Honor is our quarterly meeting/ceremony, at which all ranks, merit badges and other awards earned over the past three months are presented to the scouts. Families are welcome and strongly encouraged to attend. All scouts must wear complete Class A uniform consisting of Class A shirt, BSA pants, neckerchief, BSA socks, belt and merit badge sash. Thunder Dragon Patrol and all scouts in a leadership position need to arrive by 6pm to help set up and rehearse. Also, on duty for cleanup after refreshments – do not leave before checking with SPL. Refreshments after the Court of Honor, in Wesley Hall. Last name beginning with A-K bag of Popcorn, Cheezits, Mini Pretzels, Goldfish, Chex cereal, Mini Marshmallows, plain M&M's, etc. We are going to use these items to make a trail mix. NO PEANUTS! Scribe = all scribes on duty. Must transcribe attendance and turn in form before going home. There are no Scoutmaster Conferences, Boards of Review, nor Eagle Project Reviews this week because of the Court of Honor. Activity: Patrol time after PLC. 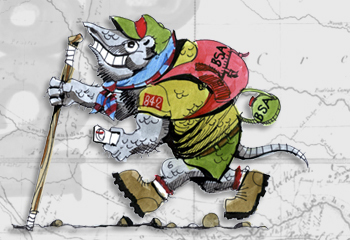 Tenderfoot 6(c) for first years; we need older scouts to help.